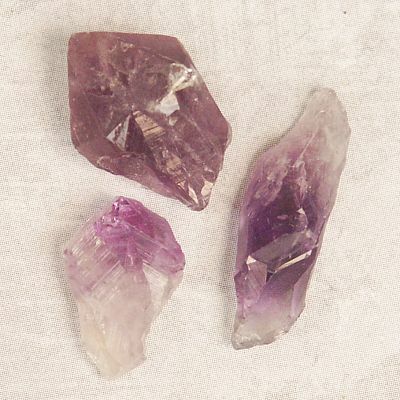 - A set of three natural amethyst points. Stones vary in shape and size, but most are 1/2" to 1" long. This rich purple gemstone is carried to promote sobriety and chastity, or to protect from any sort of excess. It brings pleasant dreams and contentment. 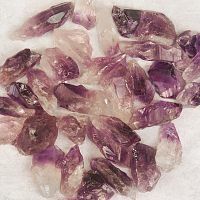 Do you have any other questions about our Natural Amethyst Points? They are beautiful stones great quality I am so pleased I'm getting more.